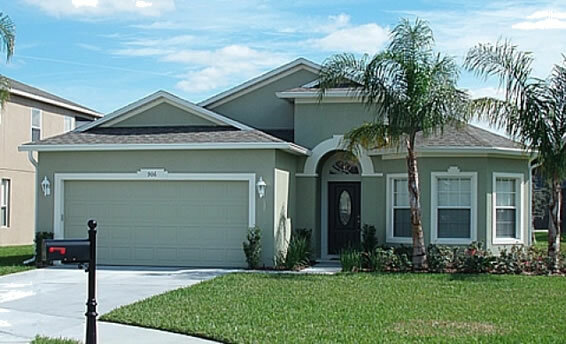 The Shire at Westhaven is located in Davenport, FL and offers some of Orlando's finest new vacation homes! This stunning community is located just 15 minutes away from Walt Disney World attractions, 25 minutes from Orlando' Sea World and only 30 minutes away from Universal Studios. Other major attractions nearby include City walk at Universal Studios, Posner Park with all its fine dining, shopping and entertainment, Millenia Mall, and Premier Factory Outlets. The Shire at Westhaven community's location is just minutes from major expressways, which will take you to all of Florida's treasures, such as Tampa and the Gulf Beaches (45 minutes), Atlantic Ocean Beaches (45 minutes), Kennedy Space Center (1 hour), Palm Beach and Worth Avenue (3 hours), St. Augustine (2 hours). A new pahse of fantastic holiday homes at The Shire at West Haven is now selling. Prices are starting from only $238,990 (£139,870) for these 4, 5, 6, 7 and 8 bedroom executive homes making them extremely competitive with similar new vacation homes on the market. These new homes have been designed in 3 flavours: Spanish, Tuscan or Mediterranean. The West Haven community offers exceptional collections of large single family communities in the ChampionsGate area of the Four Corners Short term rental zone. The short term rental West Haven community in Davenport, FL boasts some of the best community amenities, including a community Clubhouse with a resort-style pool and state-of-the-art fitness center, children's playground, sand volleyball courts, tennis courts, and an abundance of open green space!